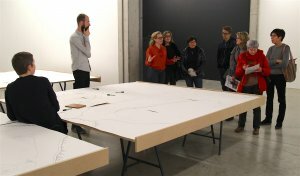 Discover the current exhibition and become familiar with much background information about the artists and their works as well as the history of the IKOB in its role as the sole museum for contemporary art in East Belgium. – Every first Wednesday in the month at 6:00 p.m.
On the last Sunday of each successive exhibition, our director Frank-Thorsten Moll conducts a guided tour that offers a final assessment of the closing show and a preview of the coming program. 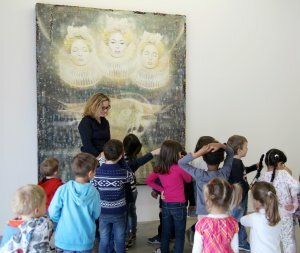 Whether for young or old, birthday party or company excursion – we offer guided tours for all current exhibitions and collection presentations. Upon request, the guided tour can be combined with our CakeArt offer. 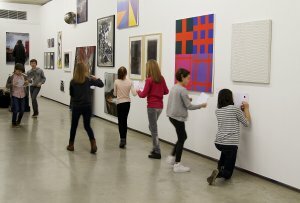 We are happy to organize a guided tour on a certain topic or to fit the museum visit individually to your lesson plans. 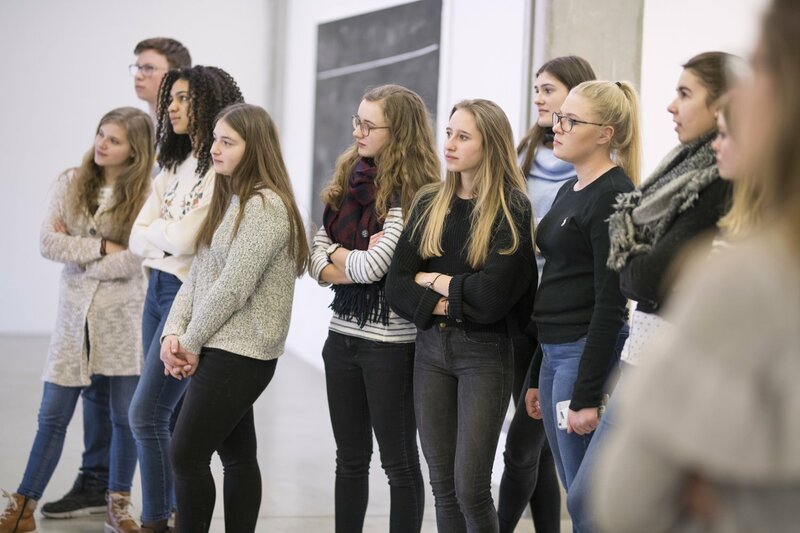 You can also use your visit for interdisciplinary instruction and combine artistic themes with contents from German or foreign-language classes as well as from religion, philosophy, politics, ethics, history, mathematics or the natural sciences. Because of their direct involvement in the guided tour, the children have the opportunity of asking questions of all sorts. There is no need for previous knowledge about the works on display. 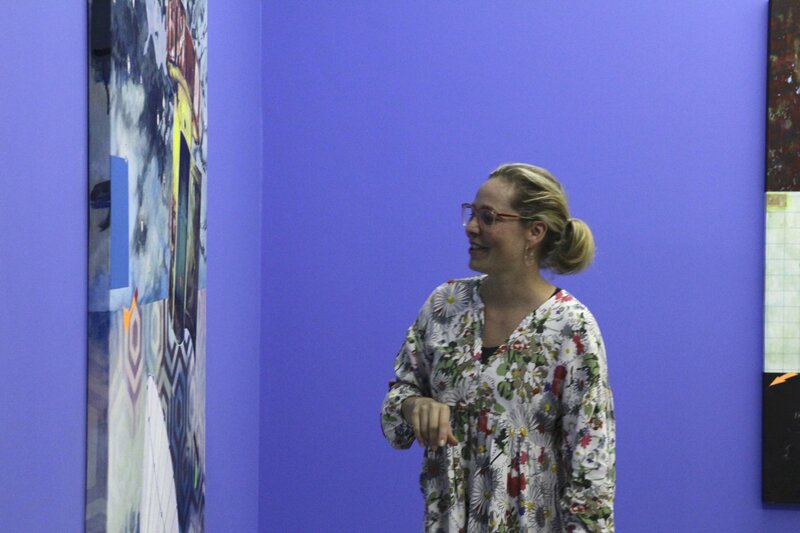 The offers can be combined with an on-site workshop. You will find information about the workshops at the lower part of this section. 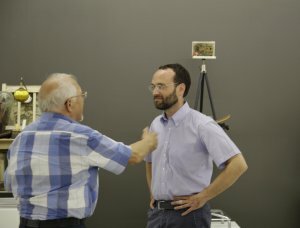 – Seeing: What effect do colors and forms have? – Hearing: Do colors have sounds? Is there something in the picture that makes noise? 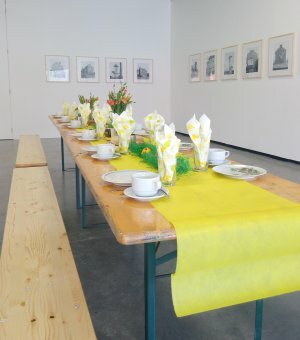 – Smelling: How does the material of the work of art smell? – Touching: How does the material feel? – Tasting: Is there something to taste? How does a certain color actually taste? Is your class visiting the IKOB for the first time? 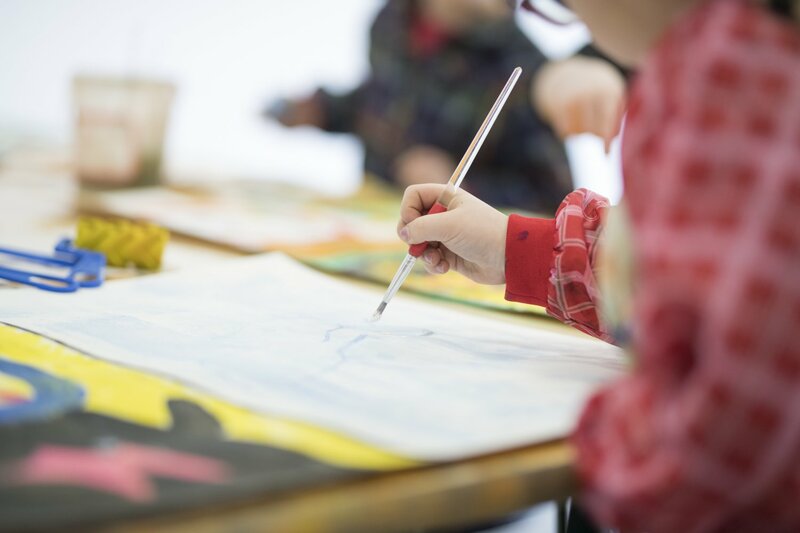 Then the pupils will be introduced to the history of the museum, to the current exhibition and to the respective artists. They become familiar with terminology, materials and techniques. During the tour, the children are on the lookout for exciting works of art; they share in a discussion about what they see and what is being represented. The diversity of the works of art and the inclusion of the pupils guarantee that their visit to the museum will be a fascinating experience. This project focuses on promoting the independence and initiative of the pupils. After being introduced to the various possibilities of presenting art, the current exhibition and, not least of all, the challenges faced by a museum tour guide, the children set up their own guided tour program. Rip, fold, cut, glue, stamp or paint. 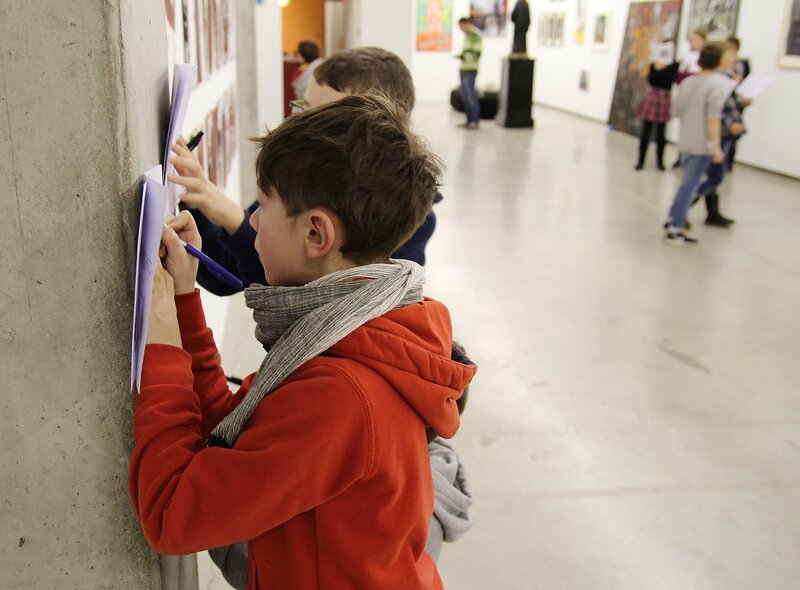 In our IKOB studio, pupils can bring their “experience” or “discovery” from the museum onto paper. In this way, what they have seen becomes transformed by painting or drawing into fantastic works. A museum quiz is adapted to the respective exhibitions. Questions and assignments are presented for solution. All answers are to be found within the museum; the pupils’ visit to the museum culminates in a museum rally. How would it be if the visit to a museum pleased not just the eyes but also the stomach? After a guided tour through the current exhibition, you can end your visit to the IKOB with a cup of coffee and piece of cake from the region. 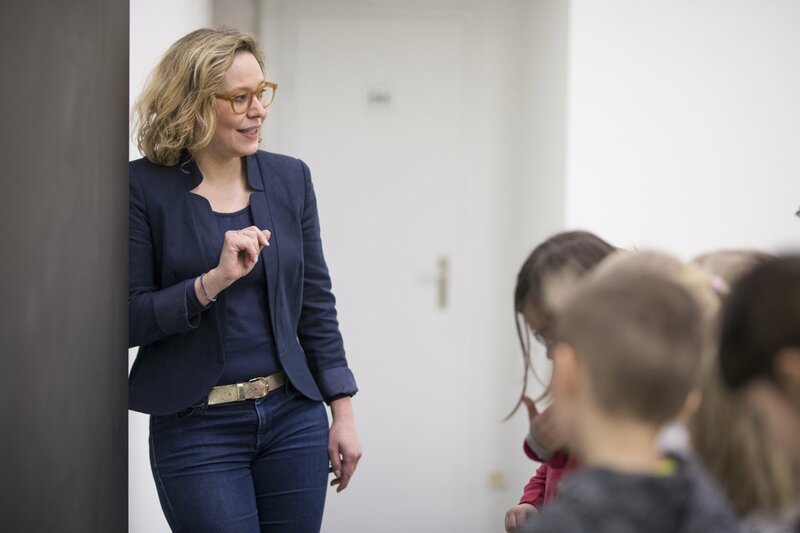 Schools in Eastern Belgium have the possibility of booking projects via Kultur macht Schule.